The global seed accelerator SunBridge Global Ventures Inc. and Venture Now, Inc. have announced that they will hold "Innovation Weekend Grand Finale 2013" on December 11, 2013, at Hulic Hall in Asakusabashi Tokyo, Japan. The global seed accelerator SunBridge Global Ventures Inc. (Head office: Shibuya-Ku, Tokyo, Japan, President & CEO: Ikuo Hiraishi, henceforth “SunBridge GV”) and Venture Now, Inc. (Head office: Shibuya-ku, Tokyo, Japan, CEO: Yasushi Takeuchi, henceforth “Venture Now”), the media specialized in Internet business, have announced that they will hold “Innovation Weekend Grand Finale 2013” on December 11th, 2013, at Hulic Hall in Asakusabashi Tokyo, Japan. “Innovation Weekend” was launched to serve as a platform to develop “global venture business originating from Japan”. It discovers promising entrepreneurs and creates opportunities to raise seed money and to receive various kinds of supports by linking them and investors. It was started in May, 2011, through the efforts of three main individuals - Ikuo Hiraishi of SunBridge Corporation (its name at the time, currently SunBridge GV); Yasushi Takeuchi who has investigated and reported the venture industry in Japan since 1998; and Kiyoshi Nishikawa who restarted the Netage. “Innovation Weekend Grand Finale 2013” will have rich and useful contents including presentations by successful entrepreneurs, venture capitalists and seed accelerators from Japan and overseas, and business plan contest by promising startups, as a culmination of 5 times held Innovation Weekend. The theme of this year is “BE GLOBAL OR DIE LOCAL”. Thanks to the recent dramatic I.T. innovation, it's getting easier than ever to expand business abroad. Global vision is indispensable to survive the competition nowadays as consumers and competitions become more and more borderless across the world. We believe that this is a great opportunity to gauge global trend. We will invite an amazing speaker, Anis Uzzaman, a general partner of Fenox Venture Capital, a famous VC in Silicon Valley. He will make a keynote on why Silicon Valley attracts the talented people of the world, Silicon Valley after Series A Crunch as well as the hottest startups getting over it! Jonathan Yaffe, Co-founder and CEO of AnyRoad Inc will give a speech about their global expansion. AnyRoad Inc has expanded business abroad, including in Tokyo, and is the winner of Brainstorm tech Conference 2013 by Fortune. We will also invite Vinnie Lauria, a managing partner of a growing company in Singapore, Golden Gate Ventures, Kenny Lew, who helps Japanese startups to enter into the Southeast Asian markets and Yuji Horiguchi, CEO of IMJ Fenox Pte.Ltd, who has lived in Singapore since last year. We will talk about “What's happening in Singapore?” : the attractions of Singapore for startups and the possibilities of Japanese startups in Singapore, and so on. In the pitch presentation section, which is a key feature of this event, the Grand Champion of Innovation Weekend 2013 will be chosen from the past winners of the five Innovation Weekends 2013 and the qualified public presenters. Flight tickets to San Francisco will be awarded to the grand champion by the organizers. We hope that more and more people will feel, through this event, that “global expansion” is a realizable dream. Hence we will keep supporting and contributing to the activities that increase the population of global challengers. ■Organizer: SunBridge Global Ventures Inc./Venture Now, Inc.
Taku Harada, CEO and Co-founder, Peatix, Inc.
Yusuke Takahashi, Founder and CEO, AppSocially Inc.
Moderator：Ikuo Hiraishi, CEO, SunBridge Global Ventures, Inc.
and the qualified public presenters. For more information about the event, please refer to the event website. This is "Innovation Weekend Grand Finale 2013" registration page. Since the establishment in December 1998, the early internet age, Venture Now has found, interviewed and reported more than a thousand venture companies in a year, especially focused on the very early stages. 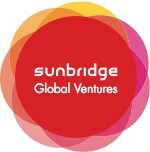 Company: SunBridge Global Ventures Inc.